A banger just dropped!!! Versatile Ghanaian artiste Kwame Baah is at again as he brings us a classic record titled “Body Fire”. A lot of noise and anticipation has been made about this particular song and now, it is finally here. Body Fire is afro beats influenced and talks of how unique ladies are. The song was produced by Darlington and mix/mastered by Jay Scratch. 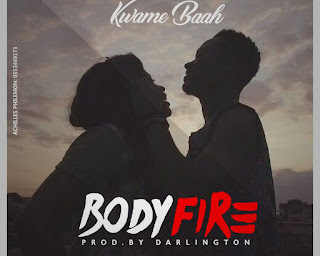 This song saw Kwame Baah proving his versatility by rapping and as well singing his heart out ..
0 Response to "[Music] Kwame Baah – Body Fire"